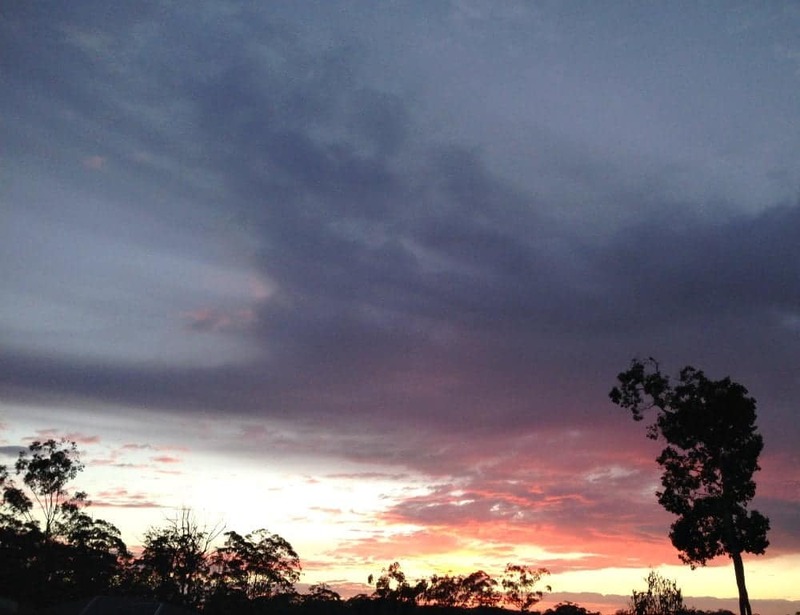 I’ve written about my love of mornings before. I love being the only one awake, enjoying the stillness of the house, a hot cup of coffee and taking in stunning sunrises like this one last week. The peace and quiet is shattered at around 6.30 (or closer to 7.00 if I’m really lucky) when my two energetic destructive boys wake up. Over time I’ve discovered having a morning routine works best for us, otherwise chaos is sure to reign. We start of with cuddles and a cup of milk, then it’s playtime with their hundreds of cars and other toys before breakfast. It’s just the three of us for breakfast during the week, and I need to have breakfast on the table quickly before the boys get too hangry. 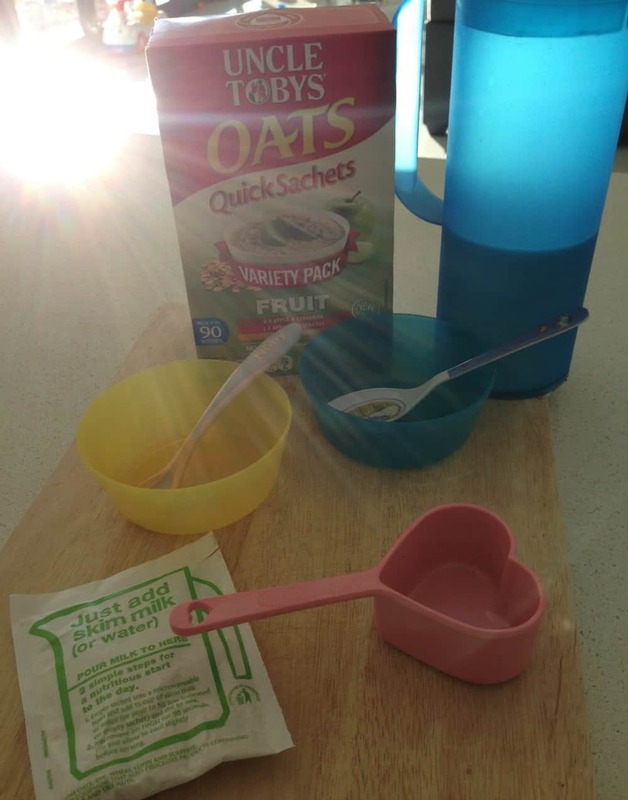 While my husband is already a big fan of Uncle Tobys Oats Quick Sachets and often prepares them for the boys on the weekends, I was stuck in a breakfast rut and serve the same cereal day after day – often to mixed reviews. I decided that if my husband could prepare a breakfast the boys loved, surely I could as well?!?! These Quick Oats are really simple to prepare, after adding the content of the sachet to a microwave safe bowl, add 1/2 cup of milk or water and pop in the microwave for 90 seconds. By the time I have then persuaded/wrangled the boys to the table and added some chopped up fruit to their bowls, the Oats are cool enough for little mouths to devour… and do they devour them! Two empty bowls – always the sign of a successful meal! 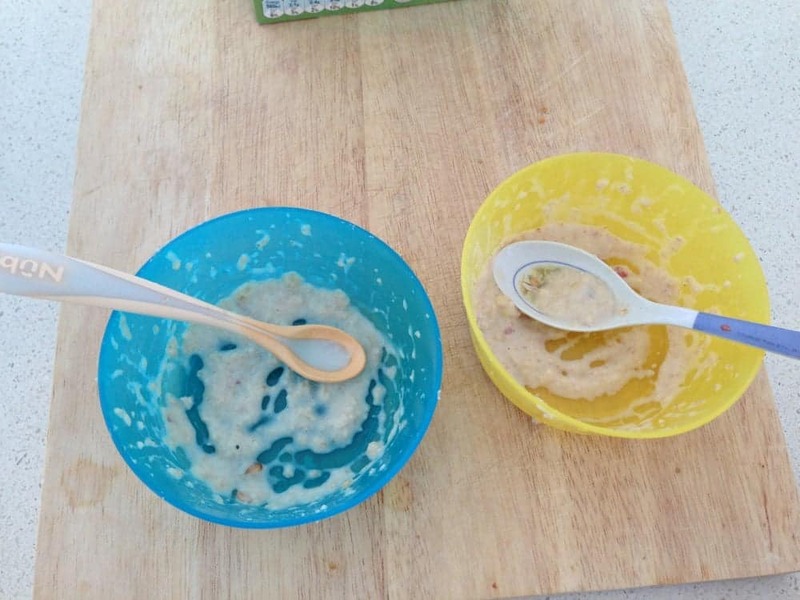 While my husband claims I don’t make the boys’ breakfast as well as he does, each time I have served them up a bowl of quick oats they have finished their breakfast in record time (winning), and in the case of our Big Boy, he has even tried licked the bowl – yep, we really need to work on his table manners. Uncle Toby’s Quick Oats are not only quick to prepare, but they are also good for you as they are made from wholegrain oats and contain no artificial colours or flavours and I’m happy to have them part of our morning routine. You can find more information about Uncle Tobys Quick Oats here. * This is not a sponsored post. I was gifted Uncle Tobys Quick Oats for the purpose of a review. All opinions expressed above are my own. I’ve started giving Hayley some oats (baby oat cereal) for breakfast and thankfully she can eat them without having an allergic reaction. As she gets older I’ll be moving onto proper oats (that aren’t bought from the baby aisle) and I’ve always loved Uncle Toby’s so I’ll definitely check these out. Yep, I just bought these in my weekly shop this morning because they were on special (I usually get the bog-standard plain porridge). My kids love these ones though, they’ll be stoked tomorrow morning. LOL. Uncle Toby’s quick oats are our go to breakfast for these cold winter mornings. There’s nothing inspiring about a cold bowl of cornflakes on a -3 degree morning! I used to eat oats all the time and have stopped. I really should get back into it, they are very good for you. I know, I have the same thoughts too. Isn’t it funny how we make sure our kids are eating all the right things and forget about ourselves? My kids used to love these but it’s more economical for us to buy the quick oats. I adore porridge! 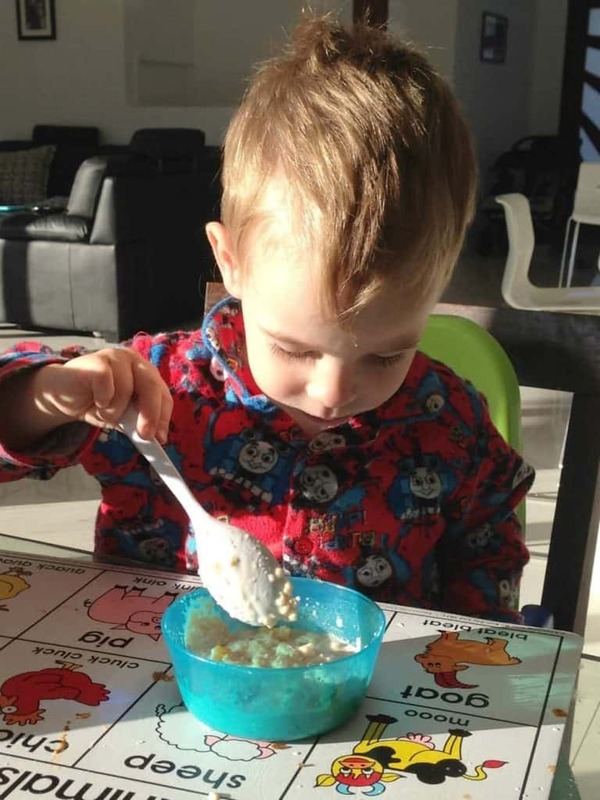 We love porridge in our house, even for dinner when someone doesn’t want to eat what’s served up most nights!